Summit Students exists to help students take their next right step toward God. 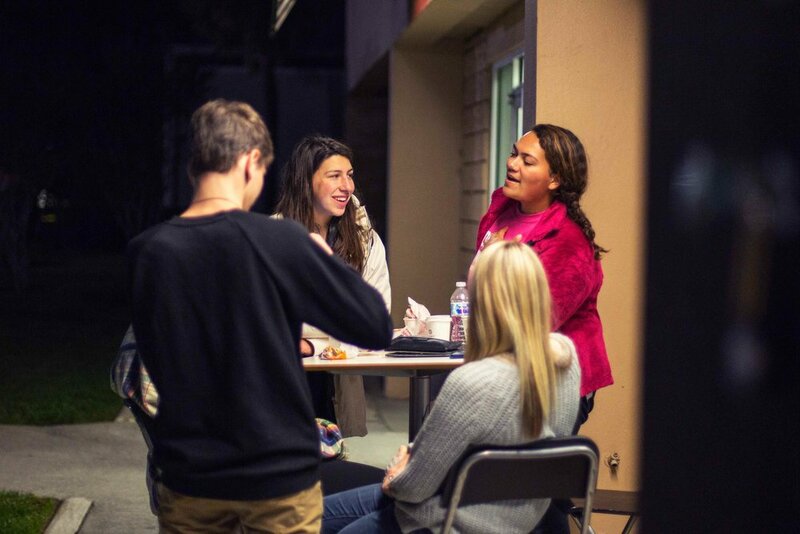 Through weekly large group events and small group discussion times, students are provided an opportunity to connect with each other, with adult leaders, and with God. We encourage all of our students to own their faith as they begin to mature and face new social challenges, while learning to live and function in healthy community with peers and adults. Everything we do—from games and music, to teaching and Connect groups—is designed to provide a forum for students to learn that they matter, to explore Scripture, and to encounter Jesus. As students grow and change, the topics discussed and the teachings presented will delve in deeper and be consistently relevant to their stage of life. Alongside seven bright girls and two incredibly wise leaders, I learned (or at least took a stab at) what it takes to thrive in a family, and how to follow God’s commandments regarding honoring mine. When people ask me about my trip to the Dominican Republic, it’s hard to come up with a response that best fits the description I’d like to give. Most of the time I end up answering with “it was cool” or “it was super fun,” but these statements hardly cover all that I want to say. Is baptism a right next step in your relationship with God? Step into the water and declare outwardly what God has done in your heart. Join the Base Camp team and make a difference this Summer! Join us for an original, family rock musical inspired by Jonah from the Bible. Come and see Jonah and his totally awesome band as they go on tour to share God's love with others! Surge in the City is a fantastic opportunity for the middle schoolers at Summit to show others in our city the love of Jesus through service. Students will have the chance to partner with local organizations and to serve in various volunteer roles throughout our city. If you have any questions about what Student Ministries looks like at Summit or how you can get involved, please email our Family Ministry Director | Tracy Beeson.